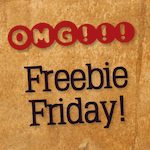 Freebie Friday “Spider-Men” Edition: Win a Free Redbox Gift Card! Spider-Man: Into the Spiderverse is at the Redbox down the street from you. There have been several actors that have portrayed the webslinger lately–let’s talk about our favorite! Who’s your favorite Spider-Man actor? Tom Holland? Tobey Maguire? Andrew Garfield? Another? Answer this week’s question simply by entering your email above, and then hit up the comments section and tell us your choice. I’ve never seen any of the Spider-Man movies. Alfred Molina who portrayed Doctor Octopus with a tenderness not commonly seen in a superhero villain. I like Tom Holland, but only because it’s the last I’ve seen. Wasn’t thrilled with any of them but Tobey Maguire was the best, though Tom Holland is OK in the Avenger movies. Tobey Maguire is my favorite! Does anyone ever win a gift card?? Of course Toby Maguire, loved him since the beginning, and hope to actually win just 1 time. Lol” thanks insiderredbox?..